These photos were taken by Lynn Hilborn of Grafton, Ontario. Please use link for sizes and price. 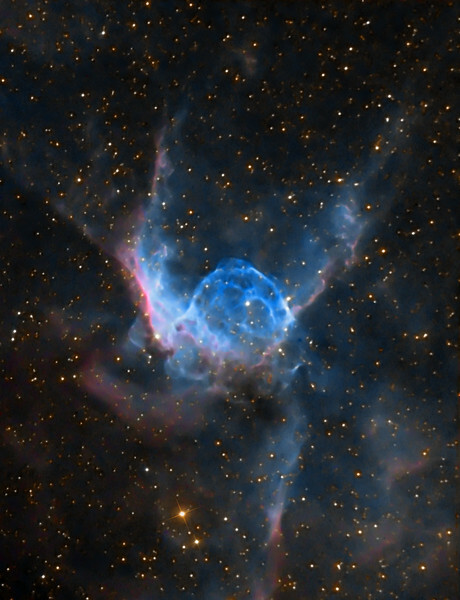 Thor's Helmet by Lynn Hilborn - Whistlestop Observatory, Grafton Ontario. (Photo appeared in March/April 2011 SkyNews magazine). 3 hours of Ha, 4x5m RGB each, all binned 2x2. Shot at f10, C9.25 and ML8300 camera. February 6 and 7, 2010.